So much fun in Cheadle Hulme! 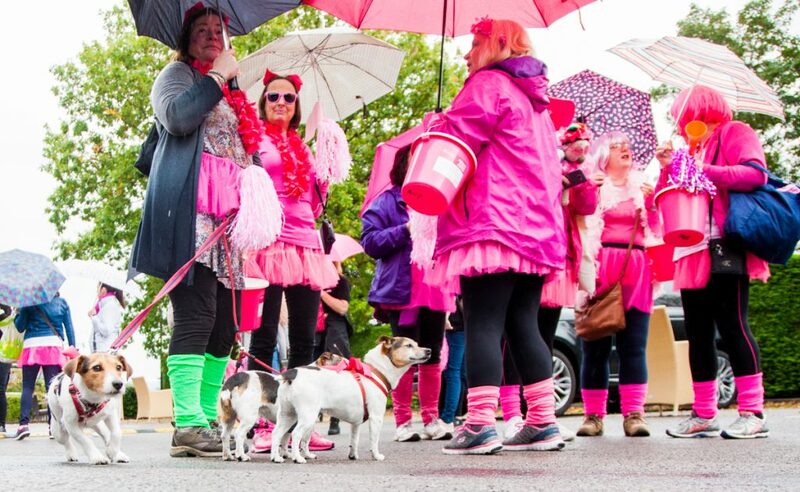 In 2016 the people of Cheadle Hulme all came together for one cause- to PREVENT BREAST CANCER. Over 40 businesses, numerous members of the public, community groups, schools, local radio stations and magazines came together and raised over £14,500! We had over 9 events in 7 days which included a quiz at The John Millington, an ABBA Tribute Night, a fashion show, a pub crawl- with a special brewed ale called ‘The Booby Trap’ , an Artisan Market and parade as well as a ‘Naughty Night’ at Rainbow 88. 2017 saw the charity take over the village once again, and a fabulous £11,200 was raised! Here are a selection of some wonderful photos from 2017.